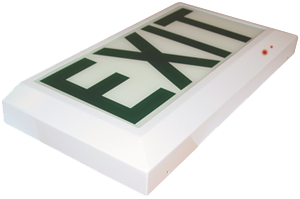 The SMART EXIT SIGN uses the latest LED technology to improve its energy efficiency and reliability. The LED arrangement provides a uniform illumination of the signs/legends with a high level of emergency illumination at floor level or at the threshold of an exit door. Three hours of emergency lighting are provided with the nickel-cadmium batteries. The unit satisfies SANS 1464 part 22, SANS 1186 part 1 and SANS 1186 part 3. 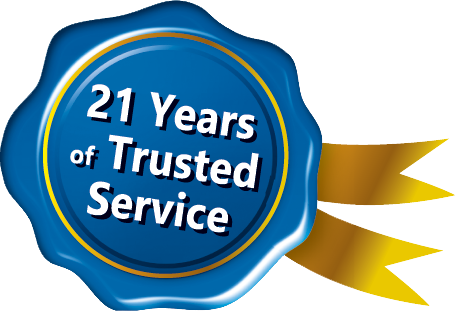 There are no functional differences from ordinary emergency lighting control units, so no special training is required for installation. The unit complies with the Digital Addressable Lighting Interface (DALI) Standard IEC 62386 and is therefore compatible with all international interfaces. Its bi-directional bus uses standard protocol and can therefore be addressed by all reputable bridges. The emergency function and system status can be addressed from a computer to perform tests to check system integrity. The SMART EXIT SIGN uses a standard 5 x 2 Ahr high temperature nickel-cadmium battery pack.